Hey, it’s summer, it’s hot, and there are several early articles that appeared before most people knew this blog existed. The first is entitled The Ultimate Road Trip. It’s about the astonishing story of the interstate highway system–a system that is now beginning its old age, with not much attention to its replacement. The second is about Boxie, a fascinating (and friendly and cute) MIT robot. The third is about the cost of educating America’s children, one by one. I hope you enjoy reading as much as I enjoyed writing! No, it’s not easy to detect the precise moment when the trouble began, when the world began to change, when everything that worked for a century suddenly stopped working. 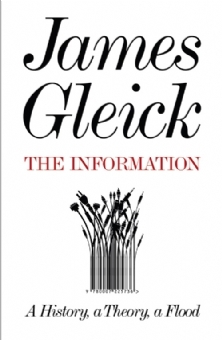 There are theories, and books written, and somehow, the old ways seem distant, and inconceivable in their naiveté. And there are new ideas, new companies, new ways of thinking and connecting that don’t much resemble the old. But one thing is clear: everything else may change, but in my world, in your job, in our town, everything is going to be just fine if we just cut some costs, say the magic words “social networking” three times daily, and reinforce one another’s thinking about the value of maintaining the status quo. I keep thinking about Kodak. George Eastman was 24 years old when he (and other hobbyists) figured they could build an industry by making photography easier. From 1878 until 1883, he opened a factory, and by 1888, he was selling shares. He struggles to find a market in the US, finds one in Europe, brings it all back home, and by 1900, Kodak is the hot start-up company. It sells cameras for $1 and rolls of film for 15 cents. By 1907, Kodak employs 5,000 people (about the number it employs today). By 1914, Kodak builds a skyscraper. By 1924, George Eastman gives half of his $75 million (in today’s dollars, $2 billion) fortune to charitable causes–including $12 million in start-up funds for what becomes MIT. In 1932, at age 77, Eastman kills himself (the suicide note read: “Why wait?”). Still, Kodak kept on growing: in 1935, Kodak introduced Kodachrome color slide film, in and jumping ahead to 1962, Kodak sales exceeded $1 billion, and the company was heavily invested in future technologies, a strategy employed well into the 2000s, when the company was an early leader in digital photography at all levels, from medical imaging to consumer cameras. 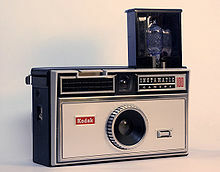 Today, Kodak is almost non-existent. Nearly gone. After closing its factories, leaving the camera business and nowadays, selling off its patents, a century’s success is fading like the (Polaroid) snapshot in Back to the Future 2. Kodak did not fail because it missed the digital age. It actually invented the first digital camera in 1975. However, instead of marketing the new technology, the company held back for fear of hurting its lucrative film business, even after digital products were reshaping the market. — Forbes. And what should Kodak have done? — Enter the cell phone business? It tried this a bit. Didn’t work. — Recognize that it was really in the memory business and diversify into storage? Nice try. — Increase its R&D? Kodak did that, spending most of the money on improving film technology. — Diversify into healthcare? It did that too. Didn’t work. — Spin off its chemical business? It did that, generating some cash. But small potatoes. — Integrate backwards into semiconductors? Way out of its competency. 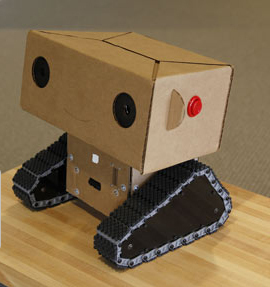 Boxie is a friendly little robot who lives and works at MIT Media Lab. He’s a busy little guy, and his story may change your perceptions of robots in our future.